Practically all video applications in CC will get an overhaul: Premiere Pro CC, After Effects CC, SpeedGrade CC, Prelude CC, Media Encoder CC, Story CC Plus and Anywhere for Video. I'm not going to post an extensive list of all features, but I will highlight a few features which I think will make a notable improvements in workflow. One of the most important upgrades from my point of view will most likely be the Direct Link Color Pipeline. This means a seamless integration between SpeedGrade and Premiere Pro. Currently sending a sequence/timeline from Premiere Pro to SpeedGrade isn't quite speedy. The whole sequence will get rendered to DPX files, which then can be graded in SpeedGrade. There is no easy way back if you decide to change something in the edit. The edit should've reached 'image lock' before you can colorgrade it. This will all change. After the upcoming upgrade you can easily select Direct Link to Adobe Speedgrade from the file menu and you're sequence (after saving) will then be opened in SpeedGrade. This whole proces takes about 2 to 4 seconds on a fast machine. I did a small test on my system, currently sending a one-and-a-half-minute timeline to SpeedGrade will take me around 5 minutes. In the new version there will be no transcoding, everything that works in Premiere will work in SpeedGrade, since they now share the same Mecury Playback Engine. Going back to Premiere will be just as quick and simple: simply click the Pr button in SpeedGrade and *boom* you're back to editing. The upgrade will give the Adobe Applications new file support. It will now support several new RAW formats, including Adobe's self-designed CinemaDNG format (which they intially dropped because of too little support from manufacturers; how times have changed). Also higher resolutions have become available, including native 6K support for RED's new Dragon sensor. This will come in handy for all those who shoot/work with footage from Blackmagic Camera's and the Digital Bolex D16. I've seen native 6K R3D files from the Epic Dragon imported in Premiere Pro, it works like any other format. Playback and grading (SpeedGrade) all was realtime without rendering. Hugely impressed by this. And I'll most likely be using the CinemaDNG format more often because of this improved workflow. 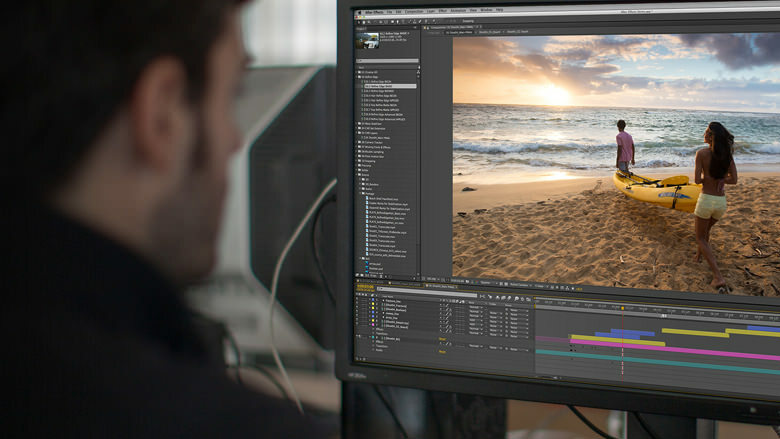 Premiere Pro CC has also been given major perfomance enhancements via improved support for OpenCL. Especially there has been extensive work on getting real-time debayering in place for the RAW formats like CinemaDNG. This will all be handled by the GPU. There will be many, many more new things to come - too much to list. The Adobe reps I talked to admitted they didn't even master all new features from the previous upgrade yet. There are just too many. I embrace the new methodology of Adobe - releasing new features 'on-the-go'. This way there will always be a way to accomplish something. One person might do it one way, someone else might find another way via different features. Everyone is served. I suggest you hit this link to learn more about all the new features (like the Mask Tracker in After Effects, also worth mentioning), or check out this press release for a short summary. Both pictures in this post are copyright by Adobe Systems.